: (.........) ...We've lost a good man. We have to make Project Aegis succeed... It's what he'd want. : (.........) Well, with everyone here, I'd like to proceed onward with Project Aegis. 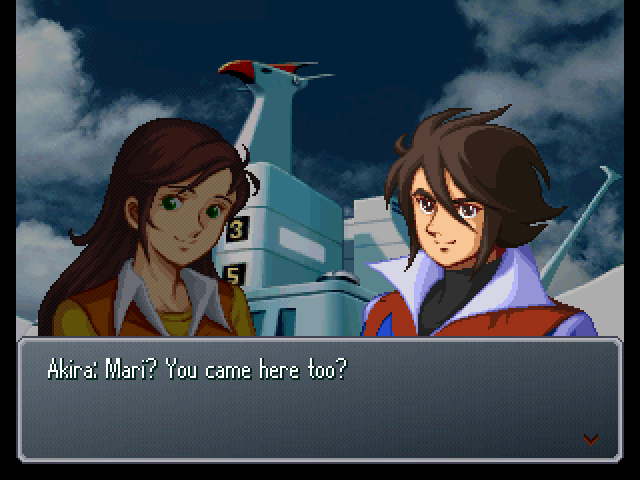 : Naturally, we'll head for the Titans' stronghold, Dakar, and take back the Macross. : Mm... Yes, the Macross's reactor would be an excellent energy source for Project Aegis. : What's the matter, Garrison? 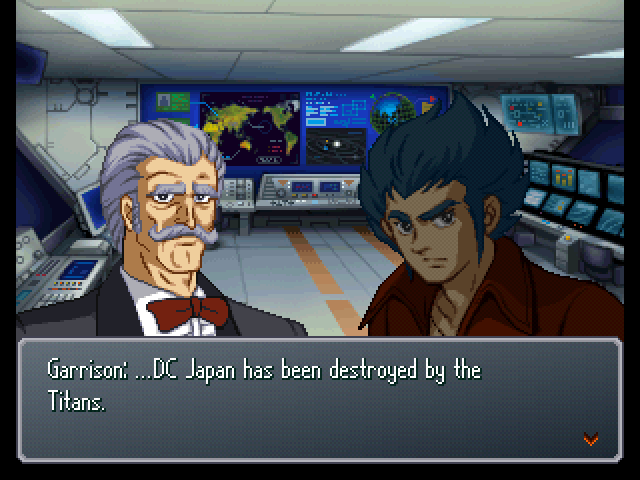 : DC Japan has been... destroyed? : Correct. It would seem they destroyed it after Titans forces evacuated it. : I guess it would make sense for them to do that. : The silver lining is that since we got all personnel away, there were no casualties... But all of the fruits of the research and development going on there have been lost. : Still, Project Aegis is in its final stages now. As long as the microwave transmission facility on the Moon Cradle is safe, we'll be fine. : Yes, Mister and I are both helping the Preventers on Father's orders. : So, are Rei and Sarumaru house-sitting in Mutropolis? 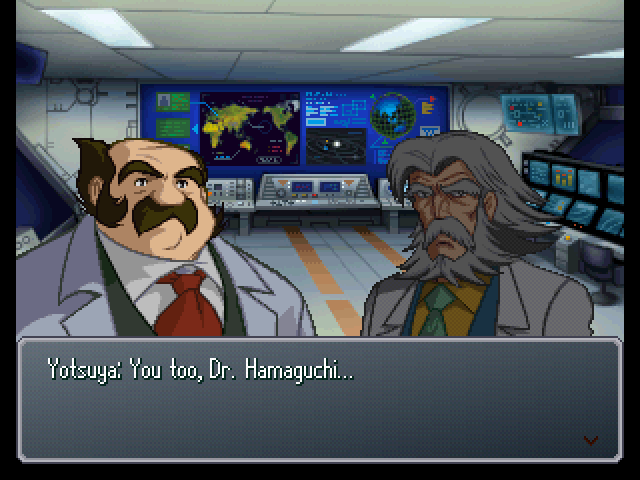 : No, Sarumaru's going to join Dr. Anzai. 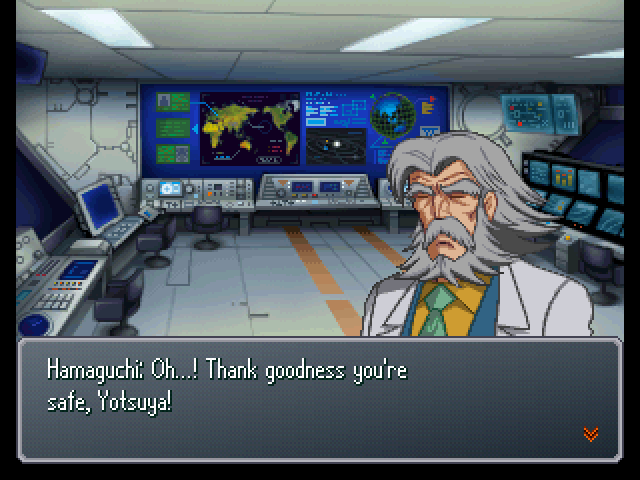 : Dr. Anzai... Ah, that hot scientist lady with LTR that Sarumaru was nuts over? 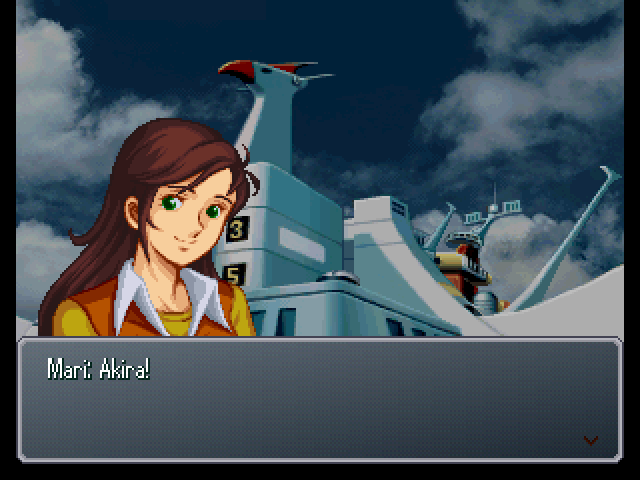 : What's with that grin on your face, Akira!? : Sorry, sorry. So, what's he going to see Dr. Anzai for? 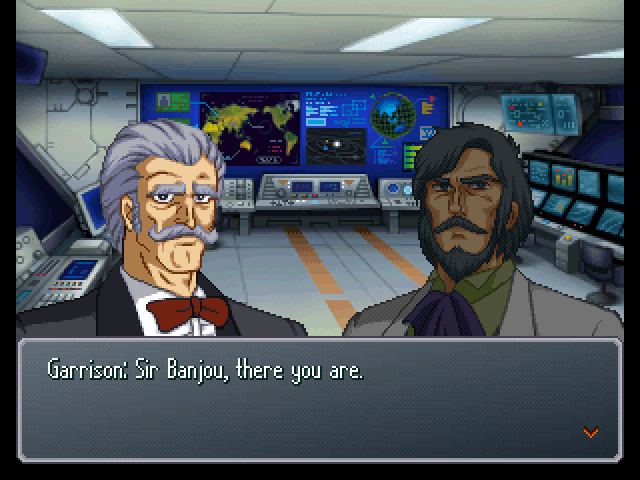 : They're apparently meeting to discuss things related to underground investigations. : Metal gear!? Underground investigations? : Come on, you should know that underground forces like the Youma and Mycenae Empires weren't completely destroyed in the last war. : Yeah... It'd make sense for them to target the surface now that the aliens are gone. : So the LTR foundation's apparently begun investigations to learn what they're up to. 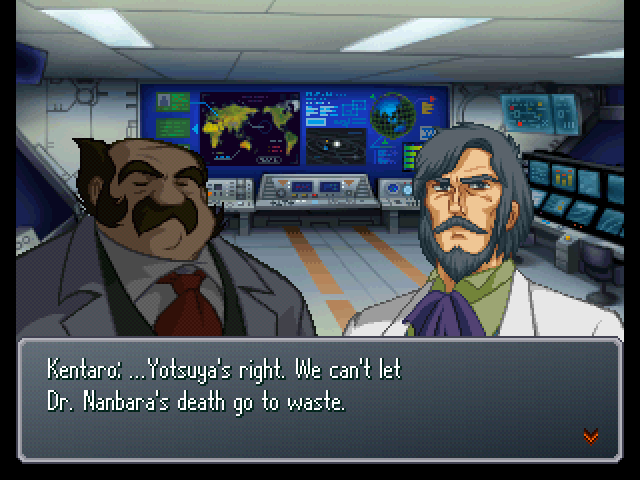 : And Sarumaru's gone to help them out at Dr. Anzai's request. : Chief, how's your injury? : Taken care of with a simple parts replacement. It's no longer a concern. 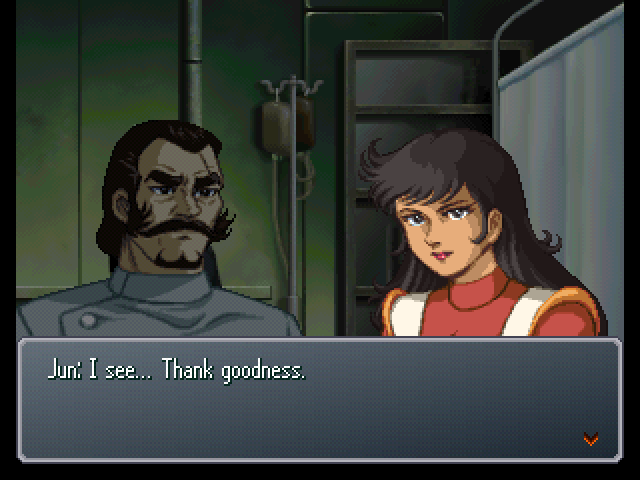 : ...Chief, you don't intend to see Kouji? : I can't see Kouji or Shiro yet. : The day we meet again will be... once peace has returned to this planet. : ...Chief, I promise to fight with everything I have to ensure that day comes. 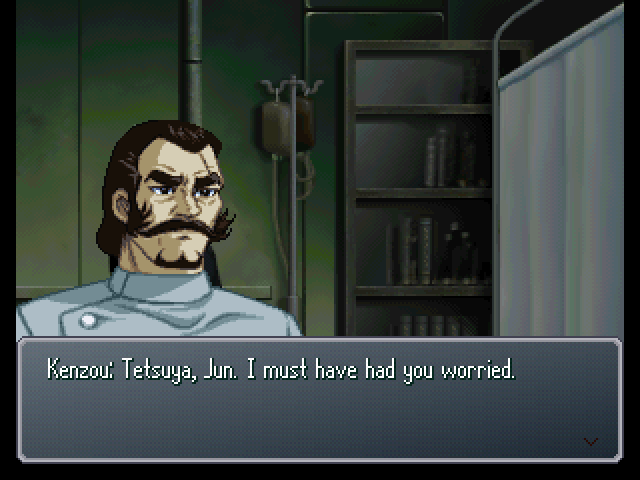 : Tetsuya? Tetsuya, where are you going!? 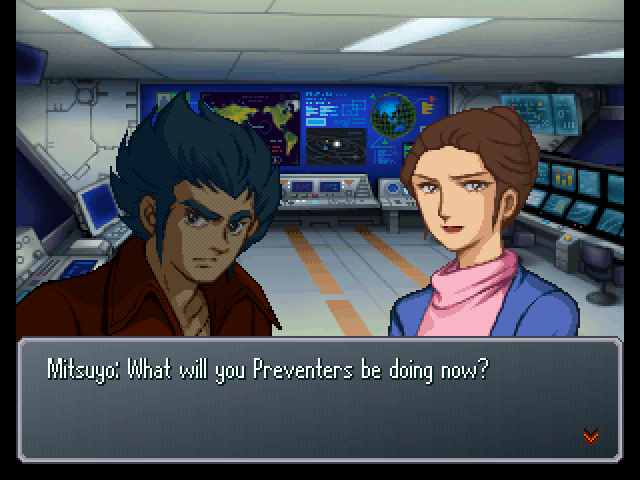 : Oh, Tetsuya... What could be the matter...?